SAN ANTONIO - Storms moving through area on Saturday hit parts of the city with hail the size of golf balls. 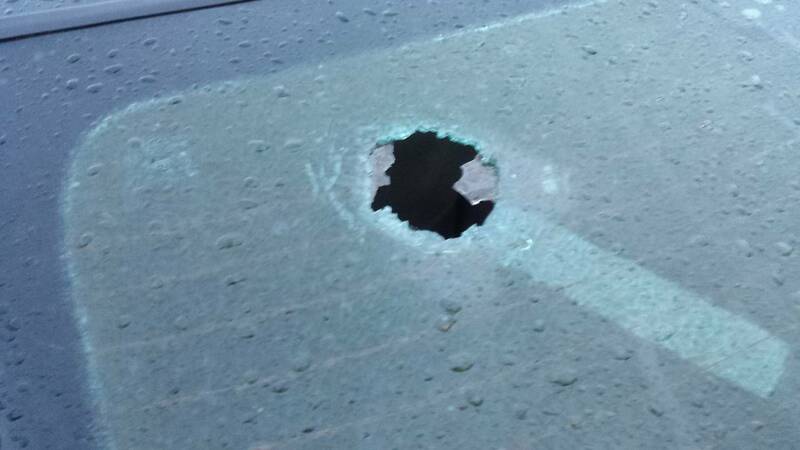 With hail comes damage from cars to houses. If you need work done because of hail damage, be aware of potential scammers. Door-to-door salesmen flood neighborhoods after natural disasters, offering their services to people in need. Not everyone who offers to help you has your best interests in mind, experts say. • Check with the BBB to see if the contractor or the company has any complaints. • Write down the license plate number of the salesperson. • Don’t sign a contract that has blanks. Information could be added later without your consent or knowledge. • Shop around, and get more than one estimate. • Don’t sign a contract right away; take your time. • Don’t make a final payment until you’re satisfied with the work. • Ask for proof of insurance from the contractor. • Don’t pay too much up front. • Get guarantees in writing. In a worst-case scenario situation, people may come to your door offering services, then take your money and disappear. Beware of price gouging from unscrupulous salespeople and business owners. Price gouging refers to price hikes for goods and services, above what is considered reasonable or fair. It is an illegal practice and most commonly occurs after a natural disaster. For example, unreasonably high towing fees could be considered price gouging. If you are a victim of price gouging, including home repair scams, call the Office of the Attorney General at 800-252-8011. Click here to go to the website and file a consumer complaint form. Report property damage to your insurance company as soon as possible. Be as detailed as possible and be prepared to answer any questions that the agents may ask. If possible, make a list of damaged property and take pictures or video to support any insurance claims that you file. Keep in mind that your insurance company has to act on your claim within 15 days of receiving it. The Coastal Outreach and Assistance Services Team is available for anyone who needs information about wind and hail policy claims. You can also contact the team if you’re having trouble finding your insurance agent. Click here to find AAA approved, auto repair facilities.